Stick that in your pipe and smoke it, Kirk. Space is such a stressful place. When you're hurtling through the infinite void and encountering who-knows-what every half hour, odds are pretty good that things will eventually get dicey. That's why you need a partner, someone to stick by your side no matter who you piss off or how many alien chainsaw guns you have to dodge. Lovers in a Dangerous Spacetime crystalizes this idea in game form, giving you and a galactic comrade the chance to guide your circular spacecraft through somehow increasingly dangerous situations. Here's the issue, though: that spacecraft has multiple seats, and there's just the two of you. Barring some sort of omnipresence that the trailer left out, that means you and your unfortunate colleague are going to be dashing back and forth between each station as you scramble to protect your ship. Sounds stressful, right? Just wait til you see the trailer. 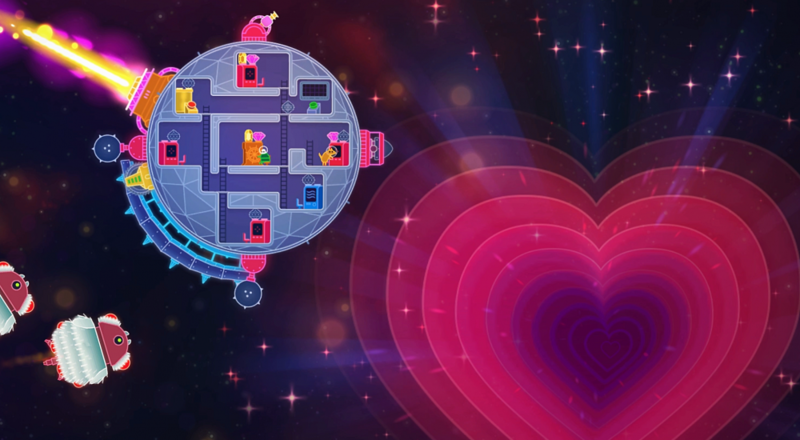 Lovers in a Dangerous Spacetime has both a fantastic name and one of my favorite co-op concepts around. It's essentially a midway point between the methodical teamwork of Artemis: Spaceship Bridge Simulator and the constant yelling and flailing of Spaceteam, and that couldn't make me happier. It'll be hitting both Steam and Xbox One on September 9th of this year. While its two player couch co-op isn't exactly a new trend for consoles, it follows an interesting push of late for local PC multiplayer. If you're the type to have a PC in your living room, a semi-beefy laptop, or a very...understanding relationship with those around you, there hasn't been a better time to huddle around the ol' CRT and scream obscenities at one another. Page created in 0.2599 seconds.